Honda has always believed in structuring its programmes around your requirements and comfort, and following the same footsteps, Honda Assure is designed with features to create a benchmark. Insurance companies mostly issue manual cover notes (which are valid for 60 days) at the counter and customers have to wait for a substantial number of days before they receive the actual policy schedule. Sometimes, due to poor carrier service, customers do not receive their policy schedules at all. In such cases, the legal hassles which customers face while in a claim situation can be easily imagined. With all Honda Assure operations processed through a custom-designed, dedicated online application, cover notes are done away with completely, and it takes only 5 minutes for the policy schedule to be printed and handed over to the customer. Does your car insurance policy enables you to avail cashless facility at Honda dealer workshops, and that too all across India? You can avail of all insurance services like instant issuance of new car policy, faster endorsements and claims settlements at any Honda Dealership across the country. The range of services covers everything, right from policy insurance to emergency assistance to post accident repairs and claim settlement. The claim settlement process in Honda Assure is fair and transparent. Classifications of parts and labour rates have been defined clearly and rates applicable are admissible by the Insurance Companies. This saves you from the inconvenience of unnecessary negotiations with representatives of Insurance Companies. Your liability will be calculated as per the rules defined under Indian Motor Tariff Act that includes compulsory excess and depreciation based on the age and cubic capacity of the vehicle. Customer is not forced to pay any undue cost of repair/replacement. No one knows your Honda better than Honda. Which is why Honda Assure makes sure that in the unfortunate event of an accidental damage, your car is attended to at a Honda Dealer Workshop. All our modern, hi-tech workshops are equipped with latest, state-of-the-art equipments, and we make sure your car is taken care of only by Honda-trained technicians using genuine Honda parts. Honda Assure has just the right product for you – the “Nil Depreciation” cover. 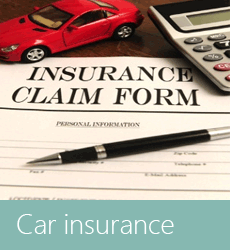 With a little extra premium, you can get rid of the depreciation amount payable at the time of claim. You also get full coverage for consumables or fasteners replaced. All you need to pay is the compulsory excess as per Indian motor tariff.